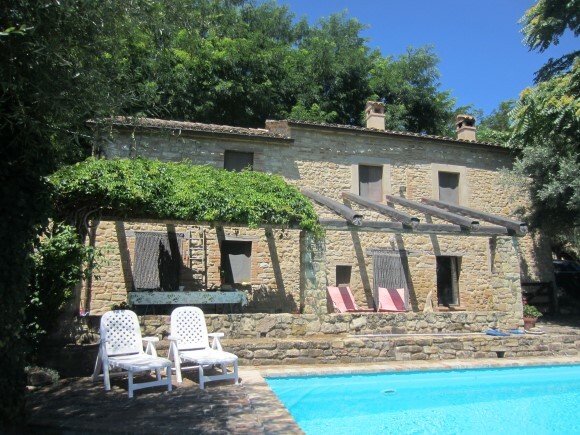 This charming farmhouse in Penna San Giovanni with pool and views comes with 2.5 acres of land and an unrestored outbuilding with potential to convert to additional accommodation. 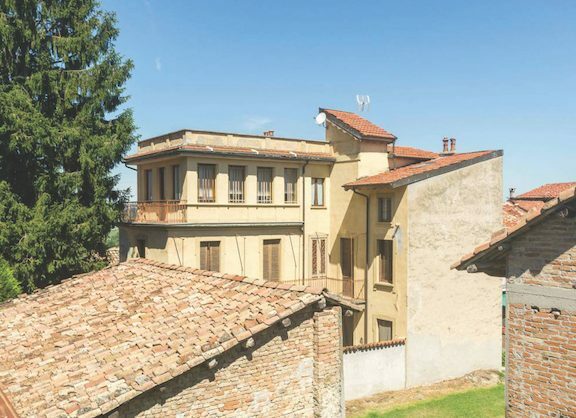 The house has been renovated to provide modern amenities while retaining many original features – beamed ceilings, terracotta floors and original doors. On the ground floor is the kitchen and living room with open fireplace. The first floor offers 3 bedrooms with views and a bathroom. Outside is a terrace with vine-covered pergola, a lawned area with olive trees and a large, shady tree. The surrounding area is peaceful with lots of wildlife but only a short distance to local facilities. House reference 659.